For day 3 of BM# 22, Cooking with Chickpeas, I have a dish that uses Chana dal, Senagapappu (in telugu). My mom made this curry with cabbage, but this can be made with green beans, cluster beans or even spinach. 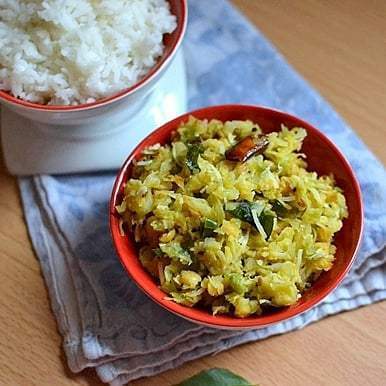 A very healthy and delicious side dish for rice or roti. This is a very quick curry to make. The only time consuming part is chopping cabbage. Lets check out what my fellow marathoners have cooked up for BM# 22.